An $8.45 million verdict against a boiler manufacturer is believed to be the largest asbestos verdict ever against the company. A Los Angeles County jury found that asbestos insulation distributed by the manufacturer and used on its boilers was mostly responsible for the plaintiff’s mesothelioma and succeeding death. The plaintiff, a career pipe fitter and plumber, worked from 1969 through 1976 installing and maintaining boilers in single-family residential homes in Michigan. The heating and plumbing company the plaintiff worked for installed boilers made exclusively by the defendant. This meant that installation and maintenance work performed by the plaintiff was mostly performed on the defendant’s boilers. The plaintiff moved to California in 1979, where he continued to work as a pipe fitter. During this time, he had no contact with the defendant’s boilers. The plaintiff did name other entities in this case. Testimony in the case showed that the boiler manufacturer used a certain insulating cement, which consisted of 100% chrysotile asbestos. Chrysotile is the most commonly encountered form of asbestos accounting for 95% of the asbestos in the U.S. In addition to mesothelioma, exposure to chrysotile asbestos causes cancers of the lung, larynx and ovaries and asbestosis. Although this was common practice in the 1960s and 1970s, according to testimony, a warning label was included with the insulating cement packaging. The boiler manufacturer repackaged the cement in smaller paper bags, sans warning label, and shipped them to customers along with the boilers. In deposition testimony, the plaintiff said he was exposed to the asbestos insulation when he mixed and applied it to the boilers during installation. Without warning labels, the plaintiff unknowingly breathed in asbestos fibers, resulting in enough exposure to cause mesothelioma. The plaintiff’s work also involved cleaning off the old asbestos gaskets with a wire brush and a putty knife, before installing new ones. 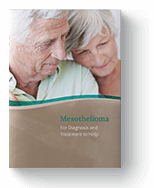 In October 2014, the plaintiff was diagnosed with mesothelioma. Sixteen months after having his lung removed and undergoing extensive chemotherapy and radiation, the plaintiff died, leaving behind his son and a long-time partner. On August 28, 2019, the jury found that the defendant acted with gross negligence for its part in causing the plaintiff’s mesothelioma and subsequent death, and awarded $8.45 million to the former pipe fitter and his son. The plaintiff was awarded $2.75 million for pain and suffering and his son was awarded $1.5 million for parental training, guidance, past lost service, society, and companionship. The son was also awarded $4.2 million for future loss. The jury assigned 60% liability to the boiler manufacturer, making the company responsible for $5.070 million of the total award. If you have been exposed to asbestos, see your doctor right away. Although there is no cure for mesothelioma, early detection could lead to more effective treatment and better outcomes. See your doctor today. “Chrysotile Asbestos.” Who.int. World Health Organization (WHO). 2014. Web. 24 Sep. 2018. Leadersinthelaw.com. Leaders in the Law. 11 Sep. 2018. Web. 24 Sep. 2018. Leagle.com, Leagle, Inc., 2017. Web. 24 Sep. 2018.